One of the best direct Lovecraftian adaptations in recent memory even if it stumbles from time to time. There’s a reason that H.P. Lovecraft is so revered. His stories are often bizarre and macabre while being grounded in some sort of relatable reality that hinges on psychological torment. He was adept at crafting indescribable beings with unpronounceable names while still maintaining a sense of dread. His work has been adapted many times over in many formats. Some were capable of matching his tone, while some were just campy horror romps that focused on the bizarre more than the core of what drives his stories. Plenty of stories out there have Lovecraftian beings without being directly lifted from any of his tales and it’s easy to do so: Otherworldly, and often big, creatures that drives its characters insane by mere will. The obsessions, the frailty of psyches, the occult, these are all central themes to what makes H.P.’s stories so engaging. As someone who consumes a lot of film and games that pull from Lovecraft as a source, or a source of inspiration, I can confirm that Cyanide Studio’s newest Call of Cthulhu does its source well by providing a solid, well-crafted piece of fiction even if the game itself has some ugly visual choices and some bizarre design decisions. Going in, my initial fear was that the game was going to be in the “hiding simulator” subgenre that has been flooding the Horror market for too long. It’s a subgenre that has had me ignoring one of my favorite genres for some time because, in all honesty, hiding in a stupid closet is NOT fun gameplay. Luckily, after a short time with Call of Cthulhu, I found that the segments that have you creeping about are far more like stealth moments than they are searching for the nearest locker to stow away in. Any time that you find yourself hiding it’s because someone is making their routine walk through an area and you never have to wait for long. The big difference here is that it’s rare when something is actively chasing you with consistent aggression and you never have to slowly inch your way toward an object to complete it. I found this much more in line with how I feel games should play and less like it’s just a constant battle with waiting like in Outlast or SOMA. 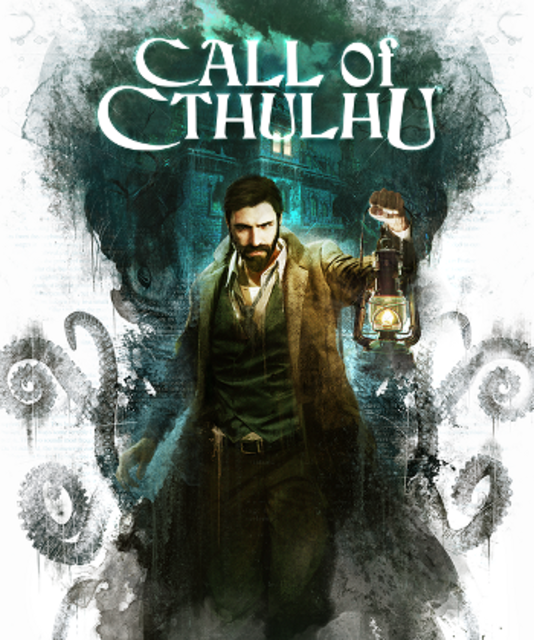 Variety is known as the spice of life and, in Call of Cthulhu’s case, they’ve taken a handful of ideas and tossed them into the mix to create enough mechanical differences throughout the 9+ hour campaign. While some of the variance can be interesting, some of what they try for misses the mark while still feeling fresh in some bizarre way. However, there were a couple of lengthy puzzle sequences that just never quite clicked to me and felt very strange and, frankly, amateur. Despite how clunky those sequences may have been, they were relatively short and came and went before you could say Ph’nglui mglw’nafh Cthulhu R’lyeh wgah’nagl fhtagn. But after those thoughts, I just realized that I’m not playing that kind of game. People might draw the most obvious conclusion that this new game is similar to 2005’s Call of Cthulhu: Dark Corners of the Earth, and in a lot of ways it is. But it’s far more connected to the Sherlock Holmes series that is also published by Focus Interactive. It has a much stronger focus on investigations than it does any sense of combat. It trades in health bars and stamina for hidden clues and interrogations. It trades in gunfights for talking things through with a conversation wheel. And honestly, that’s exactly what I want from a Lovecraft game. It feels the closest to an actual Lovecraft story as you find yourself in the shoes of an investigator trying to figure out what happened to a family. The setup and premise feel like it belongs in the source material and not something to just service it. The main protagonist, Pierce, is supported by a nice collection of interesting side characters that have shockingly amounts of relatability – even if some of the voice acting is fairly poor and the writing may come off as cheesy at times. The game never fully leans into the horror, and that’s a shame. While there’s some definite creepy moments, there was never really a time when I was terrified. It could have something to do with the overall jank in the character design. The cinematography and the pacing of the game feels closest to a film than it does a game and it’s a highlight for me. It all feels so cinematic which is probably why it makes the animations and overall look of the NPCs look so weak and, frankly, goofy. Certain scenes look silly when they’re attempting to reach a high emotional resonance, but when nearly everyone, protagonist included, looks like their face is 75% teeth and their hands move with the fervor of Shatner. I’m typically not a graphics snob but some higher quality models would help match the tone of everything else and make a solid experience. Something about Call of Cthulhu just works. Maybe it’s my affinity for the source material, or maybe it’s the fact that it feels so unlike other horror games out in today’s market. The campaign’s pacing is a definite positive force that has each chapter feel different and unique but all part of the same tale. It never felt like a linear progression and instead it feels like you were actually just a normal investigator who was solving a crime but just happened to get sucked into a psychotic cult instead. And hey, it’s okay. It’s happened to the best of us.